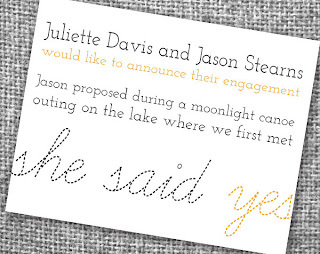 AMY'S ORIGINAL BRIDAL HANGERS: Your engagment announcement is just the beginning! Your engagment announcement is just the beginning! Hi there, my name is Julie Lockhart. I own Locked Hearts Wedding and Events in Princeton, WV and am excited about the opportunity to share some of my knowledge as a Wedding Planner/Coordinator with you! I started my business about 4 years ago and am completely head of heels in love with "LOVE". I am excited to share with you today a little information on how to break the news of your engagement to your your family and friends...so let's get started!! Do you want to know when the "Engagement Season" begins? Well it is simple, It is between Thanksgiving and Valentine’s Day. 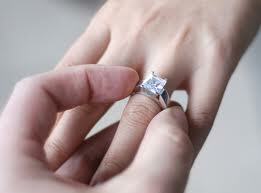 These months are considered to be the busiest season for marriage proposals. That means we are coming to the end of the engagement party and wedding planning season and now it is time to think about how to announce your great news! Without a doubt, becoming engaged is one of the most exciting moments of your life. It isn't everyday that you decide that you want to spend the rest of your life with someone. The bloom of romance and true love have now brought you to this point. The point that you have changed your status from being simply a girlfriend to a fiance! After the shock and excitement of what has happened has settled, you know you will want to share your fantastic news with those close to you. So after you have finished screaming from the tallest mountain that you are engaged, here are a few tips on how best way to spread the good news to everyone else. 1. A personal announcement is always preferable if you live near those you want to tell. It is always proper etiquette to both be present when you make the announcement to family and friends. This way they can congratulate you both at one time. 2. 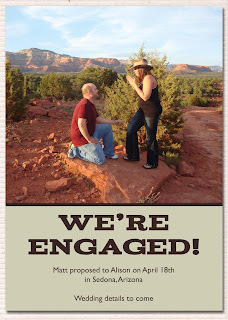 With the technological age, sending emails is now an accepted method of making your engagement announcement. This is a quick and convenient way of sharing your news with all of your family and friends, particularly those who live all over the world. Just make sure that you make it stand out from all their other emails. 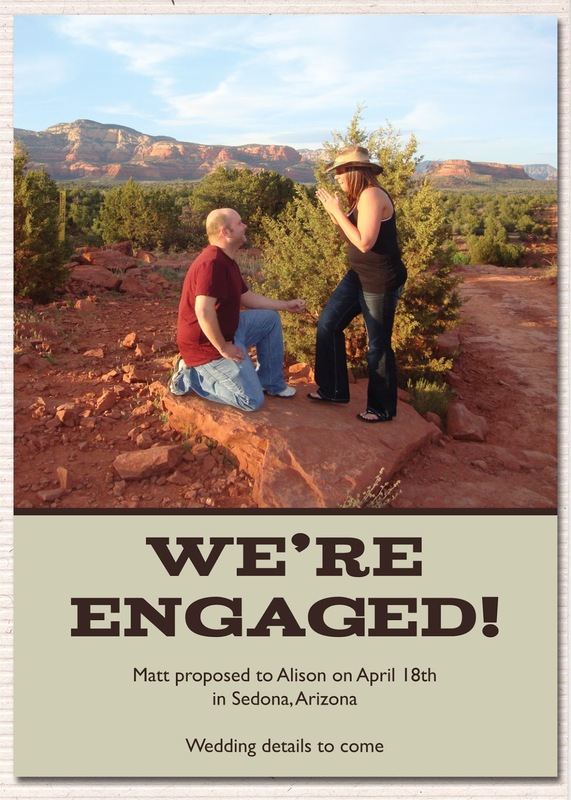 You can actually hire someone to make a email postcard just for your engagement announcement! 3. Now some people may say that "writing" a personal letter is old fashion, well I do not agree! However, you do need to think about if you intend on writing letters to all of your family and friends, you might well end up with a very tired hand! In certain circumstances where you want to share your engagement news with someone but would prefer not to speak to them in person (e.g. the family of your mother or father's ex or new spouse, etc. ), then a handwritten letter is very appropriate. 4. Once again, we are back to the new technological age so consider setting up a wedding website. 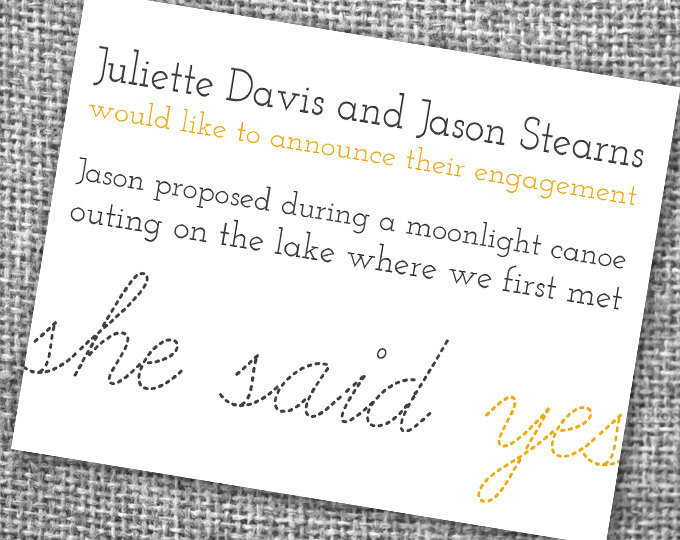 This is super popular as it enables you to share every detail of your proposal with your friends and family all at once. These websites also allow your family and friends the ability to keep up with details about your upcoming wedding to all of your friends and family. You can create a wedding website for free. Another idea similar is posting your engagement on your FACEBOOK page. Today, even your grandmother probably has Facebook, so what a great way to share the news and for FREE! 5. OK, this is an oldie but always a goodie, surprise your family and friends with an announcement at a dinner party or cook out. This way you have everyone's attention and you can 'toast" to your future spouse. Make it fun, make it about the two of you!! 6. Now this one is always a favorite! Who doesn't want to see their wonderful news in print? A great way to make your announcement if you know that your family and friends subscribe to a local newspaper is to consider a traditional newspaper announcement. Many papers charge a fee based on content and photo's so it can be expensive but well worth it if many of your family members have not stepped into the technological age of computers. Whatever way you choose to make your announcement, just make sure it represents you as a couple. It can be "traditional" but do not be afraid to step outside the box and create your own way to make the BIG announcement! Because in the end...it is an announcement about starting your new life together so make it STAND OUT! !